and guests accompanied by member(s). Hunting on the SFGC property is for members only. Membership in the Saugerties Fish & Game club is open to all adults and children. Yearly dues are $75 per year for Full Membership. One time Initiation Fee is $200. who is a current member in good standing. The membership is currently limited to 400 Full members. Membership dues are due on January 1. An additional late fee is assessed to any member who fails to pay their dues in full by the due date. Letters will be sent to those who have not paid as of January 1. If dues and late fee are not paid by the 30 day grace period, the membership is terminated, making room for new applicants. The NRA is on the front line every day in the fight to preserve your gun rights for shooting sports, hunting, and personal and Second Amendment protection. No organization does more to protect these rights! Take advantage of NRA's generosity to you and SFGC by starting or renewing your annual NRA membership for only $30! ($10 off the regular price!) Each new member earns SFGC $10, and each renewal earns $5. Discounts from national corporations (car rentals, hotel stays, airline tickets, interstate moves, laser eye surgery, custom framing, paint and wallpaper and other national corporations). Many local businesses also offer discounts to members. Your choice of annual subscription to either: American Rifleman, American Hunter, America's 1st Freedom, or Shooting Illustrated. * Insurance Benefits are subject to the master copy on file at the time a claim arises. Insights Digital Edition is a benefit of the $15 junior membership (SFGC earns $5). Additional Publications are available to members and non-members by subscription only. A husband and wife can join the NRA together for $40 by adding a $10 Liberty/Associate Membership (there is no extra magazine with this $10 membership). What a deal! And the club receives $15. 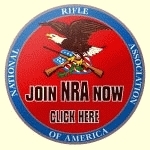 Click this link or the NRA emblem, complete the NRA Membership Application, and the NRA will contribute a portion of the membership fee back to Saugerties Fish and Game Club. Thank you! This page last updated at 20:06:21 EST on February 01, 2018.